We all know that our little girls are truly our princesses even though we may not want them to know that! But princesses come in all shapes, sizes, and eras, and it’s not just those in beautiful ball gowns who should be getting our daughter’s attention. This costume is inspired by Native American clothing from hundreds of years ago and modernized for children today. 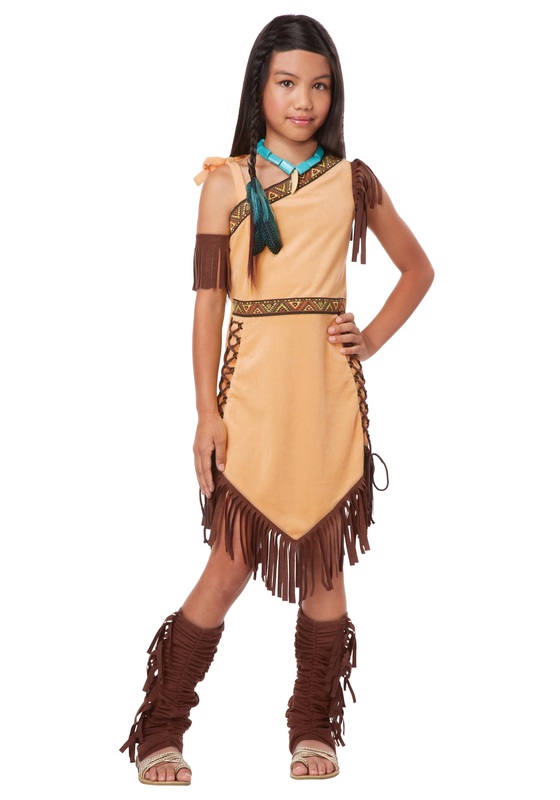 The costume includes a 100% polyester dress that has an asymmetrical top with one side that has fringe trim and the other side ties at the shoulder. The middle and neckline of the dress have a decorative pattern for added detail and the sides of the dress lace-up with brown cord. Decorative fringe hangs from the front and back of the skirt of the dress and an elastic fringe armband and boot covers complete the look!